Other groups are also developing new tools to treat diabetes. 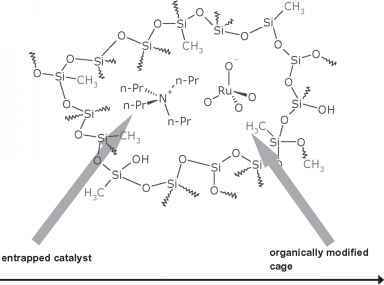 In one study, researchers were able to bond insulin molecules and sugar-sensitive proteins to a biodegradable polymer. The polymer nanopar-ticles are injected into a repository under the skin. The nanoparticles can detect a diabetic's glucose levels and release appropriate amounts of insulin to keep blood sugar levels steady. 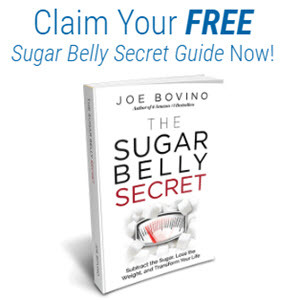 The research indicates that diabetics could administer the treatment with only one daily injection, rather than the several pinprick glucose tests and then followed up with insulin shots. An injection a day is all that will be needed. No blood testing. No multiple injections. Tattoos for Diabetes Scientists are developing a smart tattoo that could tell diabetics when their glucose levels are dangerously low. Once perfected, the tattoo will allow glucose levels to be monitored around the clock, and could warn the patient if their glucose levels are too low. One research group is developing the potential of using nanorobots for treating diabetes. The nanorobots use embedded nanobiosensors in the body to monitor blood glucose levels. 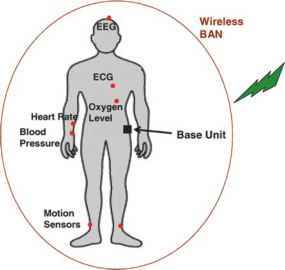 The special sensors provide signals to mobile phones carried with the patient. If the glucose level is too low, the nanorobots activate a programmed tune in the cellular phone. The tune alerts the patient to take any necessary action regarding the diabetes. This potential use of the nanorobots may be more convenient and safe for data collection and patient monitoring. Typically a person with diabetes, and depending on the severity of the disease, should sample his or her glucose level at least twice a day. And that is the minimum. Typically it is done 3 to 5 times a day once when you get up, once after breakfast, once after lunch, and once after dinner, and finally once before bedtime. The more often you monitor your readings, the better control you have on the disease. However, the more you monitor, the more painful the process can be for many people with diabetes. Remember you are sticking a needle in your finger to draw blood and there is always going to be pain associated with this approach. And one of the big issues related to diabetes control is that many people, because of the pain, will not sample themselves the number of times they should in order to control their diabetes. Then after getting a blood sample, and depending on the glucose reading, a person would inject insulin, if needed. And this can occur after each glucose reading. 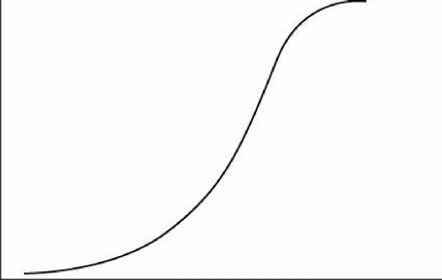 In the case of biotechnology, the original S-curve might be characterized as the technology for commercialization of animal proteins for human use, as in the case of insulin. Bovine and porcine insulin were extracted from slaughterhouse animals and then purified and sold. The discontinuity created by the second S-curve involved the use of the synthesized insulin gene inserted into bacteria for the production of human insulin. This innovation provided the basis for an entirely new industry. No one has yet invented a little machine that will swim through your body and mechanically strip away plaque from your inner arterial walls nonetheless, nanotechnology is poised to have an enormous impact on the diagnosis and treatment of disease. Recall that one of the Grand Challenges of the NNI is the ability to detect cancerous tumours that are only a few cells in size. Medical imaging could be vastly improved by using nanoparticle-based materials to enhance the optical contrast between healthy tissue and diseased tissue. Diabetes treatment could be improved by injecting a nanoparticle into the blood that automatically delivered a dose of insulin upon sensing an imbalance in blood glucose level. Cancer may be treated someday soon with an injection of nanoparticles that latch onto cancerous tissue and cook it to death upon external application of a light source that poses no threat to healthy tissue. Only scientists armed with a sound understanding of the fundamental principles are likely to explore, discover, and invent. They will be questioned and challenged every step of the way. Such was the case with Riggs, Itakura, and Boyer in the example of synthetic insulin. Somatostatin was an experiment of high potential and promise to the City of Hope scientists, and yet even the expert reviewers at the National Institutes of Health failed to recognize the value of the Riggs-Itakura grant proposal. Boyer, well versed in the science, understood the logic and so was able to sell the idea to Swanson. This secured financial support for the somatostatin experiment based on the promise that it provided the pathway to insulin. And so it did. Medical researchers now study diseases, often seeking ways to prevent or reverse them by blocking a key step in the disease process. The resulting knowledge has helped physicians greatly they now prescribe insulin to compensate for diabetes, anti-hypertensives to prevent stroke, penicillin to cure infections, and so on down an impressive list. Molecular machines will aid the study of diseases, yet they will make understanding disease far less important. Repair machines will make it more important to understand health. Regenerative medicine is an area in which stem cells hold great promise for overcoming the challenge of limited cell sources for tissue repair. Stem cell research is being pursued vigorously in the hope of achieving major medical breakthroughs. Scientists are striving to create therapies that rebuild or replace damaged cells with tissues grown from stem cells, offering hope to people with cancer, diabetes, cardiovascular disease, spinal cord injuries, and many other disorders. Implantable sensors can be engineered to work with medical devices to automatically administer treatments for a variety of conditions. Implantable microfluidic systems are being developed to dispense drugs on demand. Initial applications of these systems will likely include delivery of chemotherapy drugs for oncology patients and the delivery of drug treatments for patients suffering from a variety of diseases including, autoimmune disorders, human immunodeficiency virus acquired immunodeficiency syndrome (HIV AIDS) and diabetes. Implantable sensors that monitor heart rate can also act as a defibrillator to regulate irregular rhythms. Nanospectra Biosciences (www.nanospectra.com) is one company pushing the envelope in nano-medical applications today. They have patented nanoshell particles used in noninvasive medical therapies. These nanoparti-cles can actually be tuned to scatter or absorb light in specific wavelengths. This makes possible tasks such as destroying specific cancer cells with an infrared laser, welding tissues to heal wounds, and something called photocoagulation (coagulation with a laser) that cuts off the blood supply to unhealthy cells, slowing down degeneration in people with diseases such as diabetes and cancer. 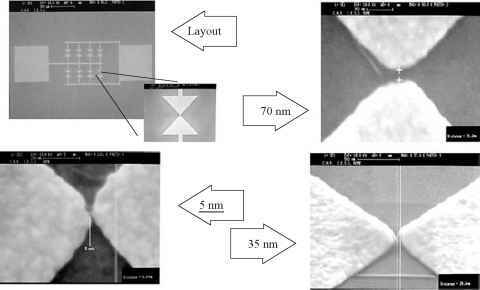 Nanoporous membranes are microfabricated with well-defined pores (diameters in the tens of nanometers). The membranes can be used to deliver small-molecule, peptide, or protein drugs (Figure 16-5). 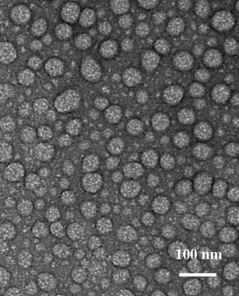 One application under investigation involves encapsulation of pancreatic islet cells for insulin delivery. The reproducible and uniform pore size precisely controls the material exchange across nanoporous membranes Nutrients for the cells and secreted insulin can pass through the pores, but proteins and cells from the immune system that may attack the implanted islet cells are restricted from entering the biocapsules due to their size. Classical examples are receptor tyrosine kinases such as insulin and EGF receptors (Schlessinger 2000). There are an increasing number of recent reports indicating that seven-transmembrane-helix (7TM) receptors (also named G protein coupled receptors, GPCRs) also form homo- and heterodimers whose functional importance is presently a matter of debate (Bulenger et al. 2005 Chabre and le Maire 2005). The role of diffusing neuroreceptors for development and plasticity of synaptic transmission was demonstrated using single particle imaging by Choquet and Triller (2003). The antibacterial and antiviral properties of silver are found in the products of other industries as well. One shoe manufacturer is using silver fiber built into shoes to prevent foot fungus and bacteria from growing. 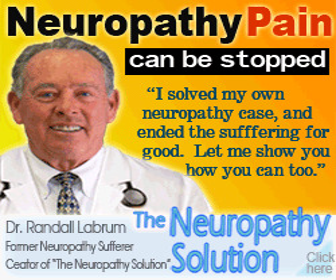 This is important to diabetics, as they are prone to serious foot infections such as gangrene, which can result in amputation of the foot or limb if infection is allowed to set in. B) One may see enormous improvements in patient care pathways. For diabetes and other endocrinopathies, the standard of care may change from multiple daily injections to a single injection of gene therapy followed by ingestion of multiple tablets each day. Drug therapy could truly be personalized once individual disease patterns are established (e.g., via sensor technology), the patient and physician could work together to develop a rational, personalized regimen of small molecule administration that would be expected to yield improved compliance and better control of disease this in turn should lessen the cost of disease to U.S. society. But the Companion's technology may be delivered in other ways. One possible configuration would be similar to a pocket calculator with a foldout viewing screen, similar to Apple's Newton. Or the Companion could be designed as an implant, inserted into the body, powered by blood sugar, and connected directly to visual and auditory nerves. Assuming it will be harder to work out these biological details than to use known technologies for visual displays, audio, and so forth, an implant version of this technology while inevitable seems further in the future. 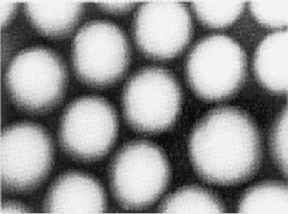 Nanopores are essentially nanoparticles whose surface contains pores, which can be used for containing drugs. Uniformly spaced holes are created on the surface in which a drug molecule is contained. The pore size imposes a restriction on the size of the biomolecules present. This means that small molecules like oxygen, glucose, insulin, neurotransmitters, etc. can move across the pore surface while large immune system molecules like immunoglobulin cannot. The released molecule can therefore be used in disease treatment, e.g. 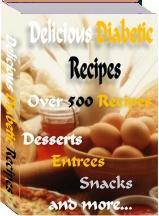 the use of insulin in diabetes treatment, use of neurotransmitters in neural disorders, etc. (Refs 9, 10). Glucose sensors are probably the most well known biosensors on the market today, since thousands of people with diabetes must be able to monitor their glucose levels throughout the day. Glucose can be tested by using the enzyme glucose oxidase, which combines glucose and oxygen to form gluconic acid and hydrogen peroxide. The sensor detects the amount of hydrogen peroxide formed and current changes that are measured by an electrode. The super small size of nanotubes allows them to pierce the skin painlessly (always a plus), especially for people who have to check their blood several times a day, such as Type II diabetes patients. TheraFuse, Inc., is an emerging technology company that designs and develops infusion systems for delivering pharmaceutical and biopharmaceutical liquids. Since 2001, TheraFuse has created products that measure various fluid flow rates during therapeutic drug infusion (e.g., very low insulin infusion rates for newborns to very high infusion rates needed for clinical intravenous drug delivery). Currently, the Vista, California, company is creating a skin patch for diabetic use. By using nanostraws to draw blood and check glucose levels and then inject insulin when needed, the diabetic patch will make the mechanics of the disease a lot easier, especially for children. 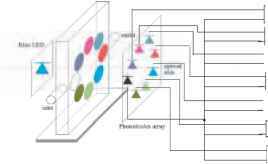 Bionanosensors are designed to pick up specific biological signals usually by producing a digital electronic signal associated with a specific biological or chemical compound. 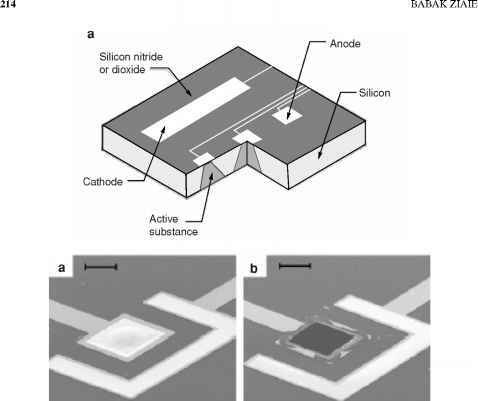 New methods such as micro nanofabrication as well as advanced electronics have made development of much improved biomedical sensors possible. These advanced biosensors have the ability to provide big changes in the medical, pharmaceutical, and environmental industries. Individual monitoring nanodevices such as glucose sensors for diabetics are also in development. Glucose detection is a classic problem in biosensing. Diabetics cannot control their insulin levels therefore, their levels of blood glucose fluctuate tremendously. If those levels get either too high or too low, their conditions can be life threatening. Currently, most Type I diabetics must actually draw blood on a daily basis, or even more often, to test for blood glucose levels. Sensing glucose molecules can be done in many ways, using optical, conduction, or molecular recognition methods. None of these have yet been shown to be compatible with an implantable simple device that could automatically, continuously sense the glucose levels in the blood. This is one of the major challenges for chemical sensing, and nanoscale structures may advance it very substantially.